In efforts to reduce the digital gap and promote competition in the ICT sector, Mexico’s mobile wholesale access network began operating in March 2018 (see Availability and Ease of Access). Digital rights groups raised the alarm about newly approved changes to the Federal Copyright Law, which would allow courts to order precautionary measures against content suspected of copyright infringement (see Blocking and Filtering). Bots, trolls and fake accounts were active on social media platforms in the run-up to presidential elections in 2018, spreading disinformation and propaganda to promote or attack certain candidates (see Media, Diversity, and Content Manipulation). Despite revelations about Mexico’s use of digital spying technologies to target journalists, human rights lawyers, activists, and political figures, no significant advances were made to investigate these abuses (see Surveillance, Privacy, and Anonymity). Mexico remained one of the most dangerous countries for journalists, and at least four digital reporters were killed during the past year. Physical and technical violence frequently targeted digital media covering sensitive stories such as crime, corruption, and human rights violations (see Intimidation and Violence and Technical Attacks). While access has steadily improved, Mexico’s internet freedom environment declined due to prolific manipulation tactics that distorted online discussions ahead of the 2018 elections. Mexico’s telecommunications reform has induced some changes in Mexico’s ICT market by reducing barriers for foreign investment and slashing prices for telecommunication services. The Red Compartida project began operating in March 2018, providing a wholesale wireless broadband network that is expected to boost competition and expand coverage to underserved areas. Nevertheless, Mexico still faces challenges in its quest to increase competition and reduce the digital gap between urban and rural populations. While citizens continued to use digital tools to protest against impunity, corruption, and gender violence, online manipulation is widespread in Mexico’s digital sphere. During the 2018 election campaign, bots, trolls and fake accounts aggressively spread online propaganda and disinformation promoting or attacking certain candidates on social media. Verification initiatives sought to debunk the deluge of disinformation, which included fake polls and fake voting instructions. The implementation of the 2014 Telecommunications Law has brought tangible benefits for internet access in Mexico. A wholesale wireless network launched operations in March 2018, aiming to offer data capacity to other operators and expand coverage to underserved regions. Nevertheless, concentration is still high and the real-world impact of these changes in some parts of the country remains to be seen, as the country still suffers from a wide digital divide between urban and rural communities. 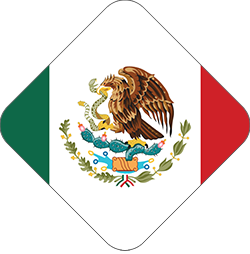 Although most of the backbone infrastructure in Mexico is privately owned, the state-owned company Telecomm has taken on greater control of the infrastructure, after taking over fiber-optic infrastructure from the Federal Electricity Commission.21Mexico has only one internet exchange point (IXP), set up by KIO Networks in April 2014, which increases efficiency and reduces costs for Mexican ISPs by helping to manage traffic across networks.22 In April, the Secretariat of Communications and Transport and Yucatan state government signed an agreement to build the next IXP in Mexico23. As part of a 2013 constitutional reform, the government established a new autonomous regulatory agency known as the Federal Telecommunications Institute (IFT) to increase transparency of media regulation.33 IFT has the legal mandate to act as an antitrust body, protecting the industry against monopolistic practices. Harassment and physical violence have encouraged a climate of self-censorship among journalists and online activists, although many continue to risk physical danger to write about crime and corruption. While citizens continued to use digital tools to protest against impunity and corruption, online manipulation continued to proliferate, especially in the run-up to the 2018 presidential and congressional elections. No evidence has been documented that the government or other actors blocked or filtered internet any other ICT content. Social networking sites and international blog-hosting services are available in Mexico. Nevertheless, technical attacks against media outlets are increasing as a means to limit access to content (See “Technical Attacks”). While the Mexican government does not systematically request the removal of online content from intermediaries, news sites, and hosting services, social media platforms and search engines recorded removal requests over the past year. The climate of violence and harassment towards the media contributes to significant self-censorship in states heavily afflicted by violence; only in 2017, the NGO Article 19 documented 507 aggressions against journalists and 12 journalists killed, at least four of whom worked for online media.57 As a result, local media tend to refrain from reporting on stories about drug trafficking or drug-related violence (see “Violence and Intimidation”). Mexico continued to be one of the most violent environments in the world for online journalists and bloggers, and the government has used insecurity to justify increased surveillance. Despite a series of revelations about illegal surveillance practices in the country, no significant progress has been made toward investigating these abuses and bringing perpetrators to justice. A controversial Internal Security Law enacted in December 2017 formalizes the armed forces’ engagement in domestic security functions.74 Several entities such as the National Human Rights Commission (CNDH) and the Inter-American Commission on Human Rights (IACHR) have expressed concerns about the law’s implications for human rights.75 The law empowers the armed forces to gather intelligence by “any legal means possible.” It also states that information gathered through compliance with this law will be considered of national security interest, and therefore restricted from public access. Little progress has been made in thoroughly investigating illegal surveillance practices in the country, after a series of revelations exposed the abuse of digital spying technologies intended to investigate criminals. Using the tense security situation and the war on drugs as justification, the government has continued to expand surveillance powers with little accountability and oversight. A new Internal Security Law notably enables the military to carry out intelligence activities by “any legal means possible,” raising further concerns about military intervention in communications and information gathering in an opaque legal environment (see “Legal Environment”). Article 190 of Telecommunications Law similarly requires providers to maintain records of their users’ metadata for a period of two years, and grant security agencies access to metadata at any time.92 Digital activists have argued that such provisions contradict international human rights standards, in particular the right to privacy. 93 However, the ruling did establish the need for a judicial warrant to access historical metadata.94 The Supreme Court ruling also provided some clarification as to which authorities can access said user data, notably the Federal Prosecutor, Federal Police, and the authority directly in charge of applying and coordinating the National Security Law. Physical attacks against online reporters and online death threats were frequently reported during this period.103 The NGO Artículo19 reported 96 online aggressions against journalists in 2017. They also reported that aggressions against online media surpassed the number of aggressions towards print media.104 They also documented that from the 1,986 aggressions against journalists over the past five years, 8 percent were presumably committed by organized crime and 48 percent by state workers. 43 This was the name of the institute at the time of the ruling. However, in May 2015, the institute changed its name to the National Institute of Transparency, Access to Information, and Personal Data Protection (INAI). 59 Ernesto Aroche, Editor, Lado B, Personal interview on May 10, 2017. 62 For example: Based in Mexico City, Pie de Página is an initiative born from the experience of the Periodistas de a pie network and Radios Libres, a project that seeks to boost communitarian radios with free technologies. Another innovative initiative in the digital media landscape is Pictoline, born at the end of 2015. Other examples of independent online news outlets in other states are Página 3, http://bit.ly/2pDS1OE, based in Oaxaca; and Chiapas Paralelo, http://bit.ly/2pP53oJ, in Chiapas. 92 Artículo 189-190 de Ley Federal de Telecomunicaciones y Radiodifusión. 108 Jacobo Nájera, Enjambre Digital. Personal Interview on May 2, 2017.